NEW YORK – The largest bank in the United States now allegedly requires its employees to state whether or not they are supporters of the homosexual lifestyle. The employee further explained that the survey was not anonymous, since it required everyone to enter personal identification information. The implications, he suggested, are chilling. 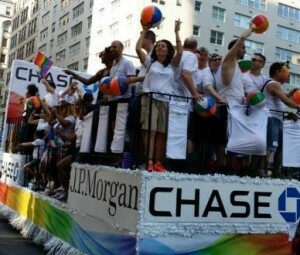 George agreed, writing in a blog post that JPMorgan Chase could quickly quash any dissenters who do not support the homosexual lifestyle. After George first drew attention to the JPMorgan Chase survey, another employee of the bank contacted him to confirm the initial report.